A project I undertake each January documenting my children. When I was a girl my Aunt used to take me to the ballet, I loved it. 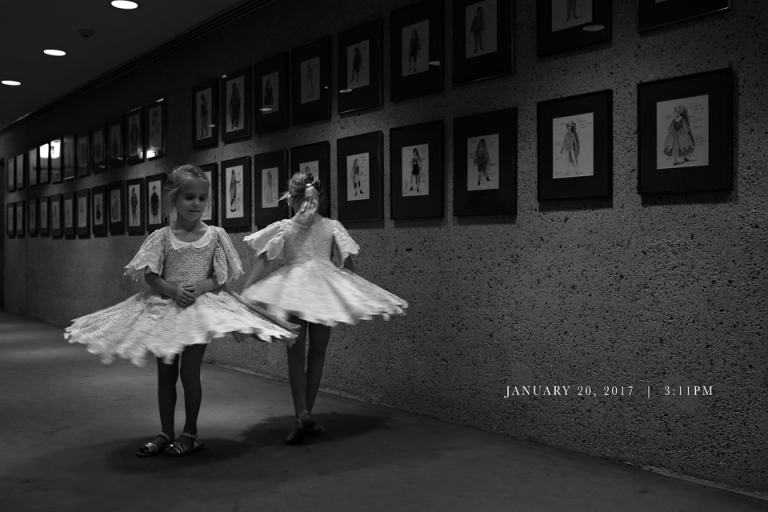 This Christmas she decided it was time to introduce my girls to the ballet. We went and saw Cinderella, the girls loved the ballerinas and their beautiful costumes. We popped to the ladies before going back downstairs to meet the cast and the girls twirled and twirled in the hallway. They almost look like they are wearing their own tutus.